For years, Anthropologie has been selling cool tops where delicate cotton prints are mixed with knits. Here's my own take on this idea. 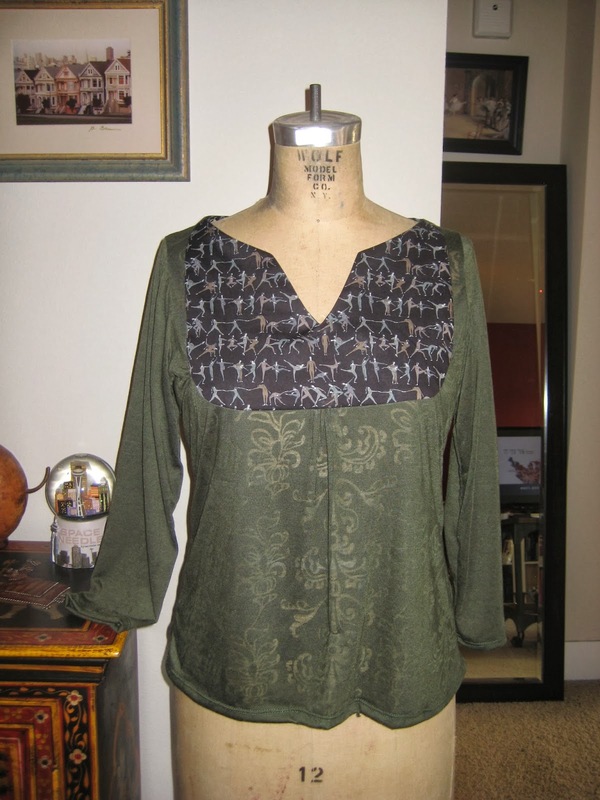 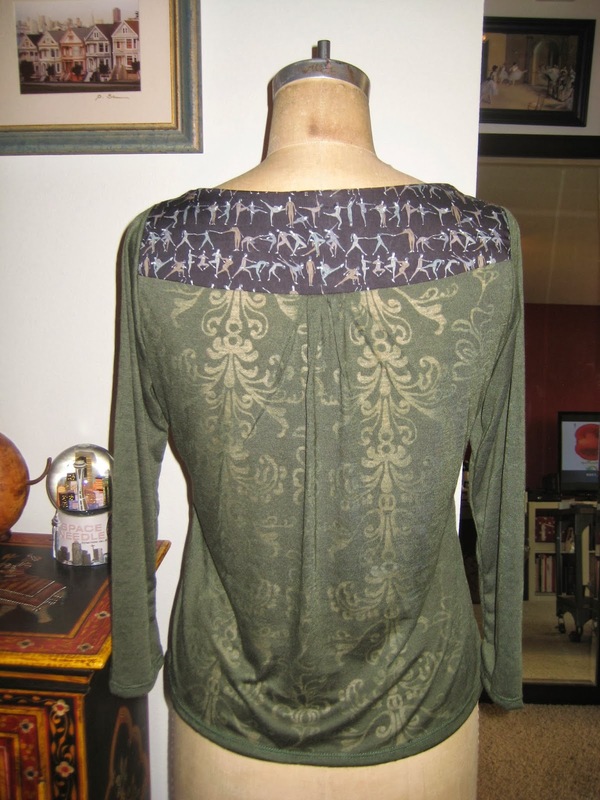 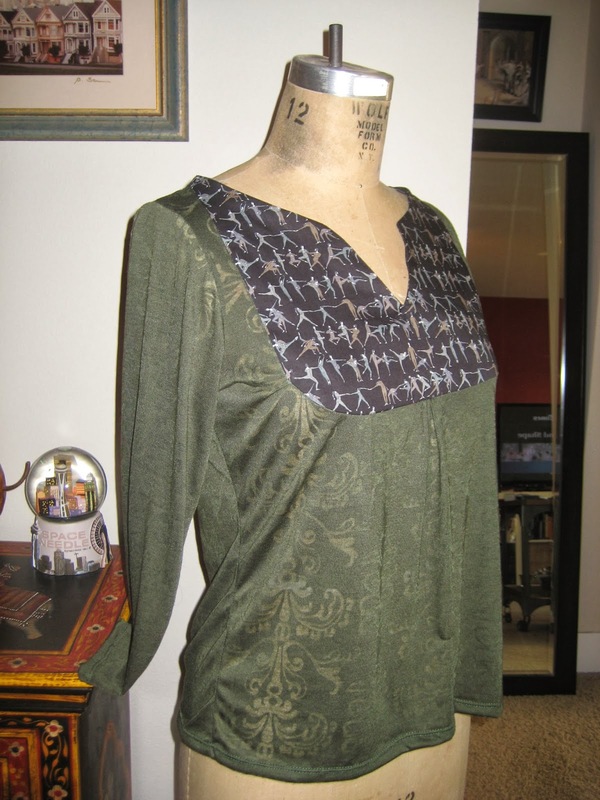 This is a Liberty print which I got at the Liberty flagship store in London and a green semi-sheer knit from JoAnn's.